Prison ministry is a must…. Prison ministry is one of my favourite forms of evangelism. I might be biased from having done prison ministry for over two years, but it just seems like one of the most easy and effective ways to bring someone into relationship with Jesus. Think about it…first of all you have a captive audience (literally). Most of them are dying to be able to just talk to someone and many of them are reaching the end of their hope in life and are looking to cling to something that will bring any kind of joy into their lives. I experienced this first hand while doing ministry in Stony Mountain Penitentiary a few years back. It's for these reasons that when someone calls and needs Bibles for prison ministry, we will do whatever we can to make sure we have the funds and the Bibles to make it happen. We got a call yesterday from a guard at a women's medium/max correctional centre. She told us that she was a christian and that she had a heart to share her faith with inmates whenever they gave her a chance. She wanted to be able to give them a Bible as a gift to whoever would be willing to read it in their cells. She asked if we would be able to partner with her and the chaplain from this prison. The answer is YES. The thing that's makes this more awesome is that this prison guard wants to help us fundraise for the Bibles they will need. How cool is that!! Looking forward to bringing them their first few cases of Bibles next week. 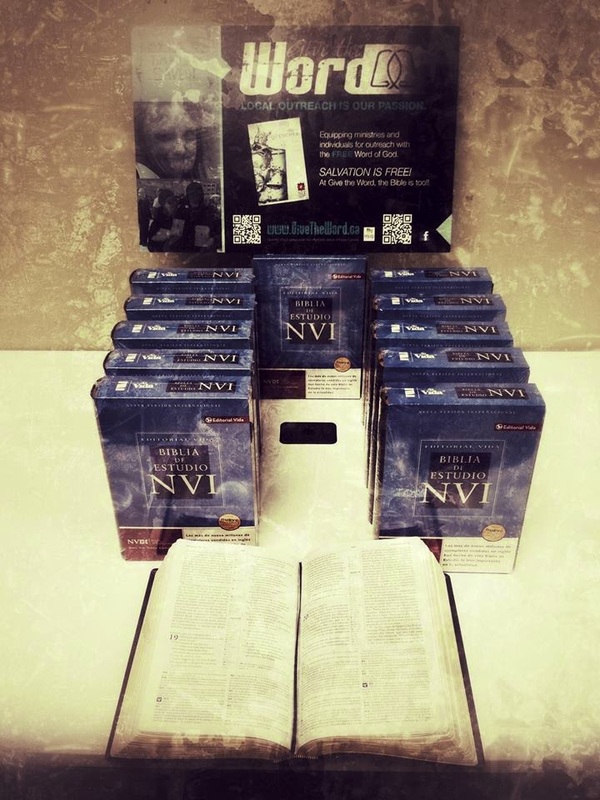 Today 12 Spanish NVI leather study Bibles left our office and are off to Mexico. They will be given to 12 new pastors that are coming out of pastoral training. We are donating these Bible to them because these are men who are not able to afford a study Bible like this on their own. This was a $600 project that we had covered and funded. Thanks for the support to make this happen for these 12 men. ….we talk about raising funds a lot for projects and I'm sorry if we ever come across as being pushy about it. Fundraising doesn't come easy, but I have learned to be shameless in asking. I supporter of mine told me something about two years ago that has completely changed my perspective on asking for funds. He said "Ryan, NEVER me scared to ask me for funding when it involves building the Kingdom..I might not always be able to say yes, but don't rob me of the opportunity to make that decision"
This was such a powerful statement that has taken root. I will forever be thankful for that conversation. Give the Word is going to Columbia. We are sending our newest Give the Word team member, Rob Wiebe, on an outreach/evangelism missions trip to Columbia with E3 Partners/I Am Second in October. 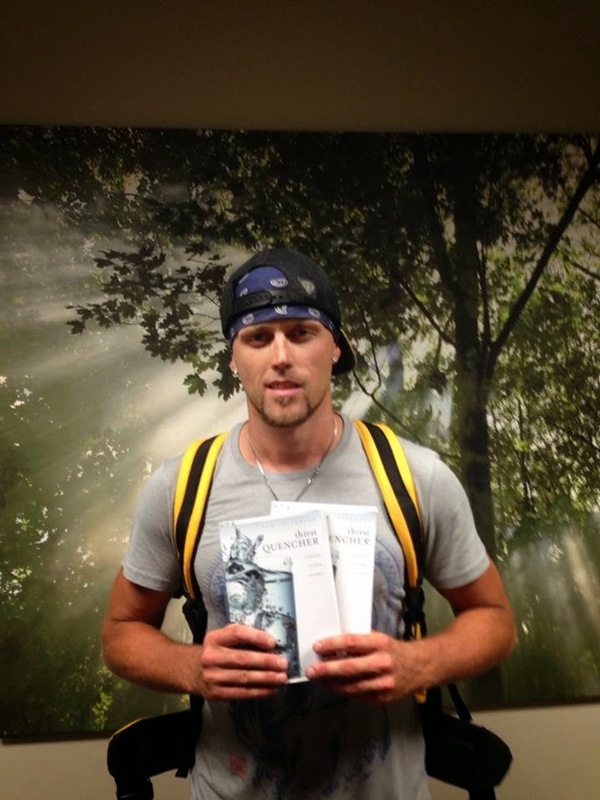 He will be representing Give the Word there and will equipping the missions team with over 100 Spanish outreach Bibles. 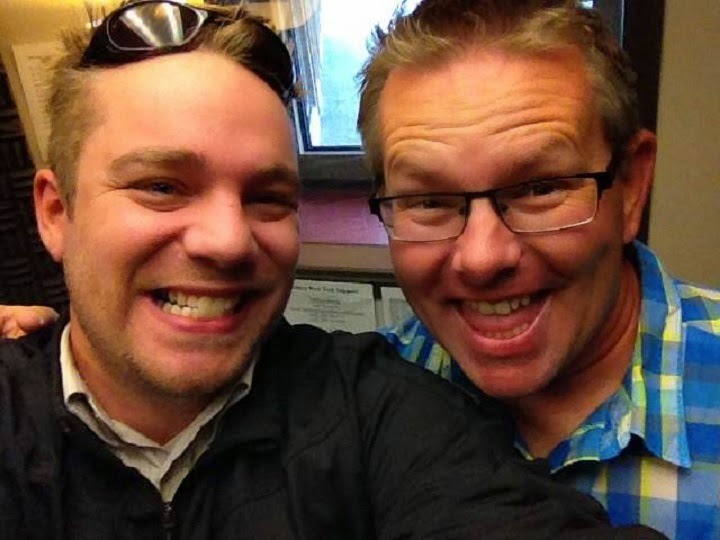 Rob was on CHVN 95.1fm this morning talking about the trip. Check out the link to to hear the interview as well find out how you can support Rob's trip by. He needs to raise $2800 to go and he's at $1750 right now. Almost there!! office and are off to Mexico. They will be given to 12 new pastors that are coming out of pastoral training. We are donating these Bible to them because these are men who are not able to afford a study Bible like this on their own. of Scott and look forward to more life changing stories from him. Pray for Scott as he puts himself in very vulnerable situations all for the sake of the Gospel.